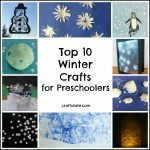 This melted snowman art is easy to prepare and fun to make with the kids this winter! 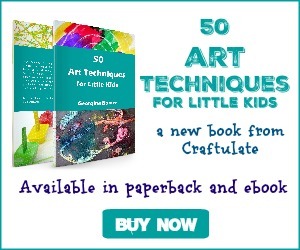 To celebrate the launch of my new book: 50 Nature Crafts for Little Kids, I wanted to share one of the crafts from the book with you! My son made these at preschool well over a year ago and I asked his teacher for the “recipe”. 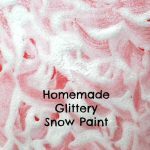 The picture was very intriguing as it was sparkly white puffy paint – almost foam like. *About ¼ cup of each per child is about right. Mix together the glue and shaving cream in a bowl. Kids can help you with this part! 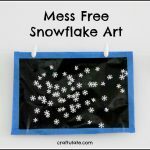 Carefully add in a little fake snow – beware this stuff can get everywhere! Spoon out a large heap of the “puffy paint” onto the card and slightly flatten it into a large puddle using the back of the spoon. 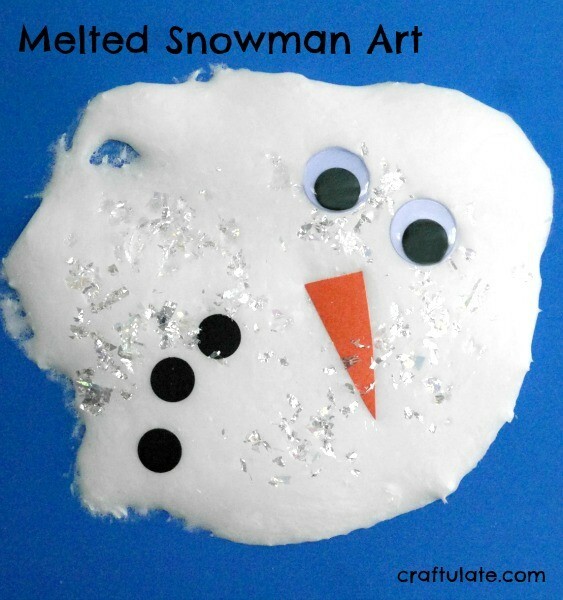 Then make the melted snowman! Add an orange triangle nose, googly eyes and black buttons made from circles of black card or paper. 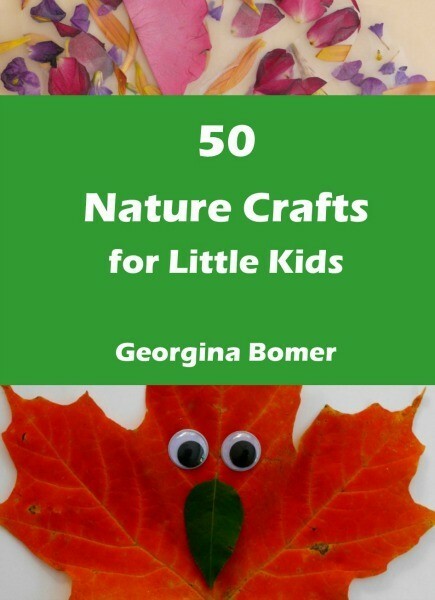 If you liked this activity please check out the other 49 activities in 50 Nature Crafts for Little Kids!